“E.T. 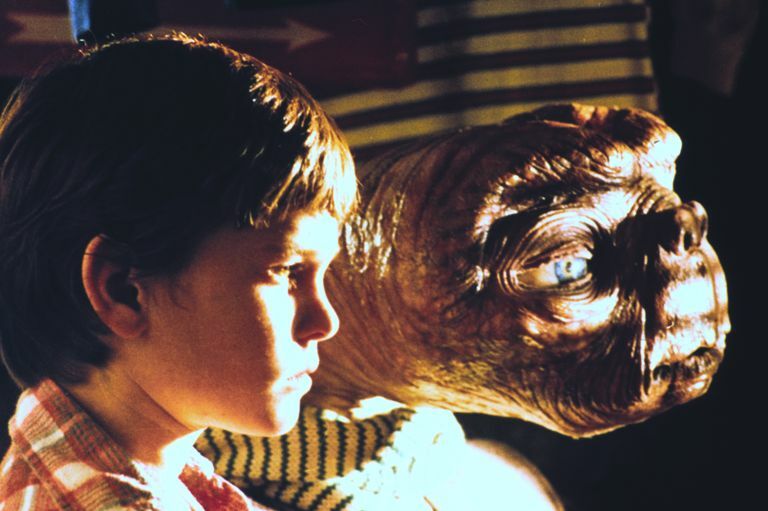 The Extra Terrestrial,” Steven Spielberg’s magical, compassionate film, is now 35 years old. We open on an alien space craft landing in a forest, as small extra terrestrials work mysteriously, taking samples and exploring the woods. A car pulls up, faceless men chase an alien away from his companions and the ship takes off….